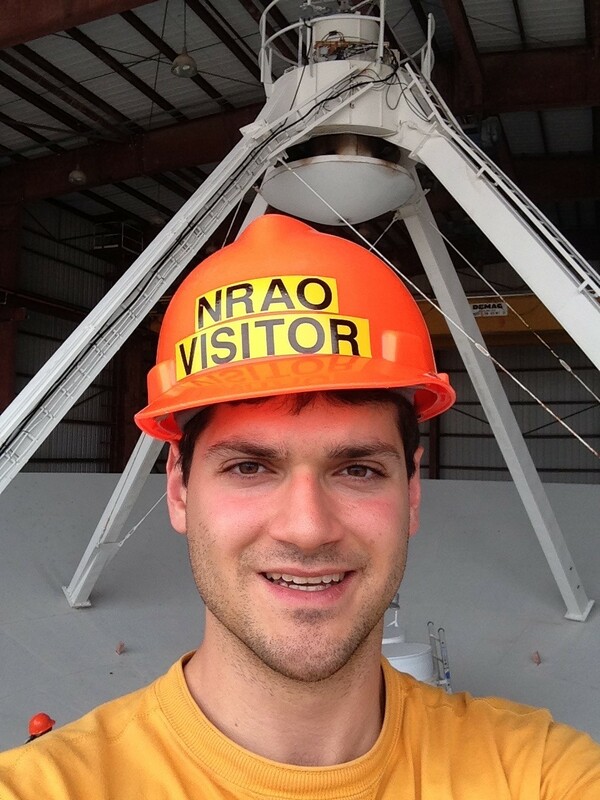 Research Interests: I am a fifth-year graduate student working with Professor Dominik Riechers on measuring gas and dust properties of galaxies at high-redshift. Most of my work involves analyzing the Very Large Array CO Deep Field (CO luminosity density at high-z; COLDz), a large VLA project to measure the cold molecular gas content of galaxies at redshift 2 to 3, the peak epoch of cosmic star formation. The molecular component of the inter-stellar medium is the fuel for star-formation in galaxies, so investigating the amount of available gas, and its physical state, in galaxies at this crucial epoch of galaxy formation is necessary in order to clarify what drove the formation of the bulk of the stars that we see in galaxies today. I search the data for CO line emission and analyze the candidate galaxies. I am also heavily involved in projects that exploit the power of ALMA (the latest Millimeter/submillimeter interferometer in Chile) to study dust and gas emission (e.g. through Far-IR fine structure) in “normal” galaxies in the first billion years of cosmic time (z>5). While it is clear from the preliminary results that the dust emission properties of these galaxies are different from nearby galaxies, our investigation attempts to establish the physical context for the conditions of the gas (e.g. ionized vs. neutral fraction, radiation field properties) in “typical” galaxies at redshifts higher than previously observed. When I am not analyzing data I love going for bike rides in the Ithaca area, hiking in the mountains, cooking (Italian and other) or going to the Farmers Market.